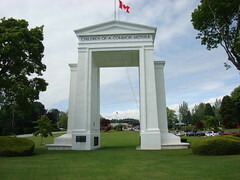 The Peace and Dignity Runners pass through these symbolic Peace Arches on there way from Canada into the United States. We all made it through successfully. Canada was a really amazing country, especially BC. It has so much beautiful natural places that are threatened by development. I honor all of the strong warriors who are working hard to protect those places.